Today people spend more time on their mobile phones than ever before, calling, texting, scanning quick response codes and accessing online content almost faster than it can be created. Over 1 billion of the worlds 4 billion plus mobiles phones are now smartphones, and 3 billion are SMS enabled. 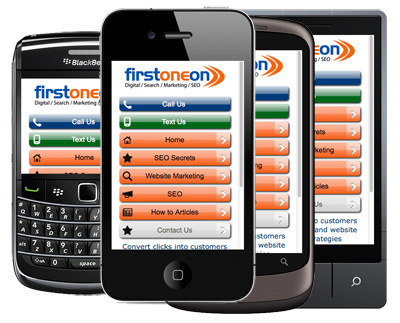 It is estimated that in 2014, mobile internet usage will overtake desktop internet usage and currently more than 50% of all “local” searches are done from a mobile device. A recent study stated that 86% of mobile users watch TV while using a mobile phone, 33% of all users access Facebook from a mobile device and 91% of all mobile internet use is “social” related. Walk down any high street and look at shoppers, many walk around with a mobile phone talking or texting and some are even price comparison shopping in and out of shops! And with smart phones capable of scanning barcodes it is possible to instantly compare or check prices. Mobile shopping is on the rise, providing an indication of where retailers need to be in order to capture the attention and loyalty of the digital consumer, according to a recent report from IBM. Some retailers are encouraging the use of smartphones and giving shoppers gift cards and other rewards for checking in and scanning their merchandise while others are doing their best prevent it, even going so far as to strip the standard barcodes on products to discourage shoppers from running price comparisons with other retailers and yet 55% of smartphone owners said they’ve used a mobile device to compare prices between retailers. Thirty-four percent said they’ve scanned a QR code, and 27% have read online reviews from their devices before making purchase decisions. We have been working with retailers to identify methods of attracting new consumers in this digital marketing age. Identifying actions and devices that trigger consumers to behave the way they do is vital in being able to sell more and encourage more sales. Take for example the owner of the restaurant that is essentially closed most of the day and yet there is a steady stream of potential consumers walking past everyday. What can be done to attract or encourage them to return for an evening meal or sample some of the delicous meals that are freshly prepared every day – First One On installed QR (quick response) codes that enable digital consumers to scan and see a delicous meal! "First One On gets clients noticed . . . in an increasingly crowded market place - call us 0117 370 6381 to discover more"